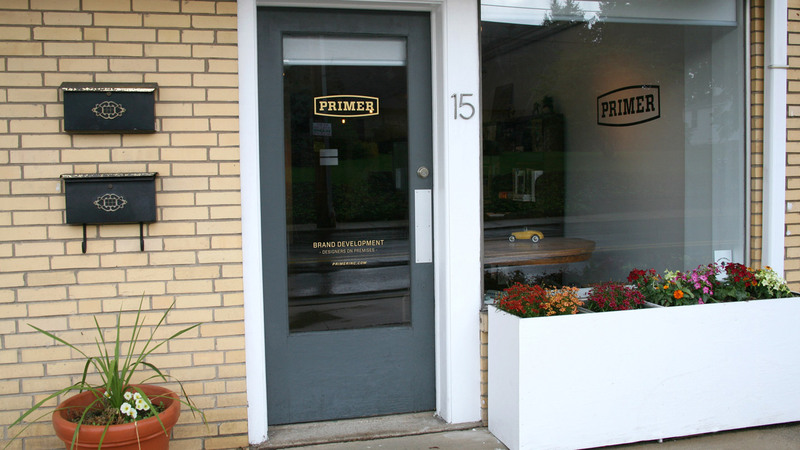 Primer is a brand development agency located between Philadelphia and New York in the historic river town of Lambertville, New Jersey. We collaborate with our clients to create effective brand strategies and award winning creative. Creative director and proprietor, Brian Isserman, has years of experience developing brands for clients such as Adidas, AlphaBroder, Champion, Chivas Regal Scotch, ConAir Corporation, Hanes, The Hershey Company, Johnson & Johnson, JustBorn candies, Mercedes Benz USA, Proctor and Gamble, Seagrams, and The Wharton School at The University of Pennsylvania. 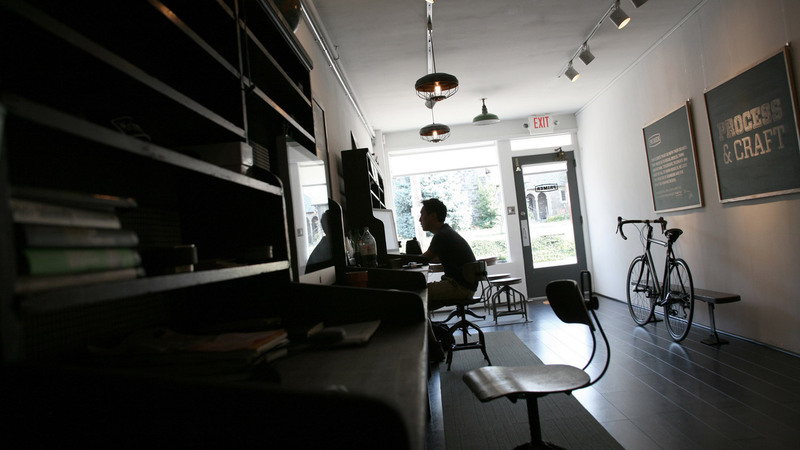 Built in the late 1850s, our storefront studio now serves a dual purpose as our home for brand development and as a non-traditional gallery space supporting the arts. Several times a year we have events at the studio that highlight the professionals that support branding in the disciplines of illustration, photography, design and fine art. It’s inspiring to see the talent, diversity and creativity that these pros bring to our industry. If you would like to be notified of our events please subscribe to our updates. Great brand building is great story telling and we really wanted to surround ourselves with things that have history, purpose and interesting stories. All of the pieces in our studio have been curated by us and in many cases, restored by us. We get great satisfaction from saving these beautifully made objects. Built in 1872 by George Phineas Gordon, our Geo. P Gordon Platen Press was purchased locally and painstaking disassembled, cleaned, oiled and put back into working order over the course of six months. At close to 1000 lbs. of cast iron, it was a labor of love that involved many long hours behind the studio scrubbing parts with kerosene to remove over 140 years of ink, grease, and dirt. It’s a welcome presence in our studio that reminds us to approach each project with the same careful craftsmanship and attention to detail that was needed to clearly convey a message in the beginning of the last century. If you are interested in learning more about letterpress printing or would like to see a demonstration, please contact us. 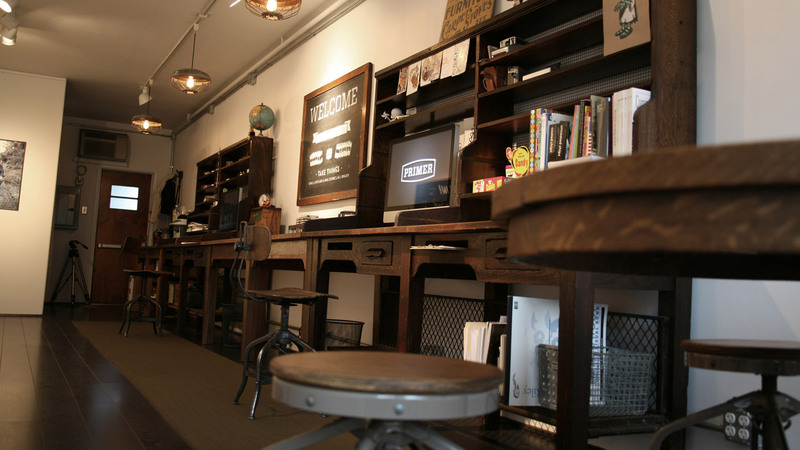 Primer is located in the historic city of Lambertville, New Jersey. Originally known as Coryell's Ferry, after its owner, Emanuel Coryell. Coryell's Ferry was the western terminus of the New Jersey portion of the York Road connecting New York City and Philadelphia. The community was renamed Lambertville in 1814, when the post office was established, in honor of John Lambert, a local resident who had served as United States Senator and Acting Governor of New Jersey.